And I want to find Everthing that is in between ” character. Please ignore the last line. It will give you the complete list of the strings found. I hope your getting what i am saying. 2. Now on its Paint Event Write the following Code. This one is not Made By me. Dll: You can Download The Control Dll from above website. 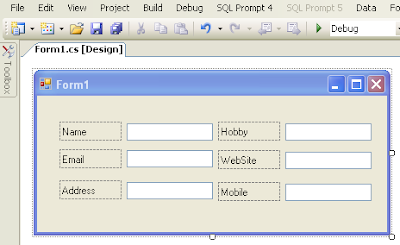 Drag and drop it to a form. Write the following code on Form’s Load event. It’s Very Easy to make a Numeric only TextBox ..
Just right the Following Code on The Textbox’s KeyPress Event..
/// This class will show or hide windows taskbar for full screen mode.